Excelta Straight Tapered Flat Reverse Action One Star - 4.75-in. 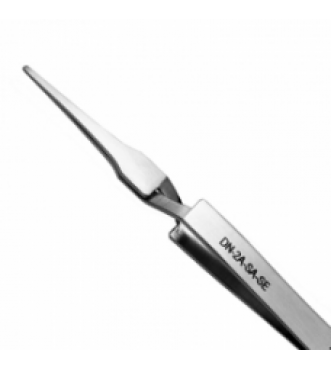 The DN-2A-SA-SE reverse action tweezers are normally closed at rest and require finger pressure to open. 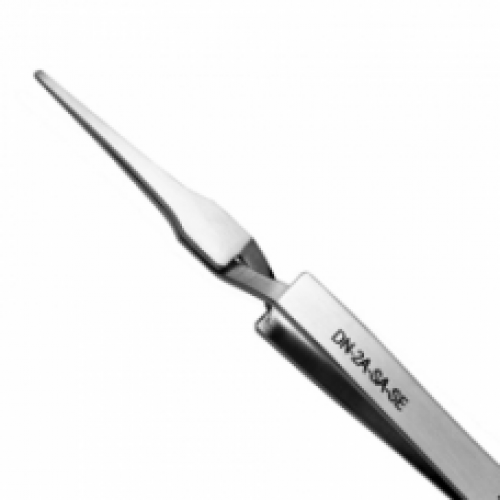 This normally closed tweezer is great for holding parts without finger strain. The overall length is 4.75". 2) the tweezer decides how much pressure gets put on the item, not the operator.